Actor Rupert Grint, who memorably played Ron Weasley in all of the Harry Potter films, is admitting that he almost quit the franchise during one of his extended breaks from filming. “There were definitely times when I thought about leaving. Filming Harry Potter was a massive sacrifice; working from such a young age for such long periods and I definitely remember thinking during one extended break, ‘This whole thing is so all consuming, do I really want to go back? 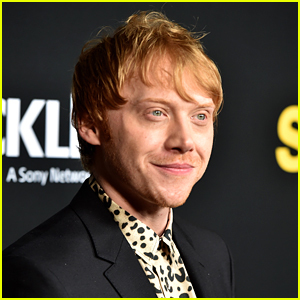 Maybe it’s just not for me.’ I guess I was probably just being a teenager,” Rupert told The Guardian in a recent interview. Rupert starred alongside Emma Watson and Daniel Radcliffe in the movies.